In its fourth-quarter earnings release, meal kit maker Blue Apron said it’s on track to achieve profitability in the first quarter in large part due to “favorable consumer response” to its new partnership with WW (formerly known as Weight Watchers). The new partnership, which launched in late December, has resulted in "higher-than-expected demand to date,” the company said on Thursday. 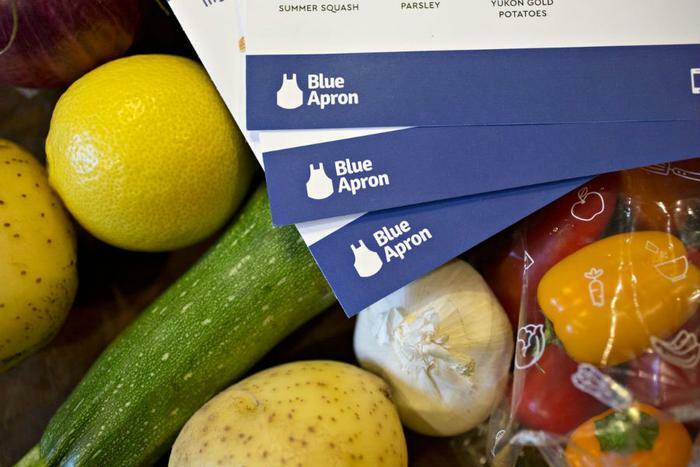 In a conference call with analysts, Blue Apron outlined a number of steps it plans to take as part of its effort to nail down a sustainable, profitable business strategy. The company said it will launch a new, lighter version of its meal kits on Friday with Walmart's Jet.com. The two companies originally announced their partnership back in October. Called “Knick Knacks,” each $8 kit comes with sauces, spices, grains, dairy and recipe for a two-person meal. Meat and produce aren’t included in the kits, which makes them more customizable for consumers while also extending the product’s shelf life. Going forward, Blue Apron said it will also be focusing on improving its meal kit offerings to appeal more to customers interested in health and wellness. “We are entering 2019 with confidence in our strategic direction. We believe our newest product innovations and new strategic partnerships with WW and Jet have great potential as we enter the year with a deliberate focus on expanding our offerings to strategically and thoughtfully serve a strong base of loyal customers and attract new, high affinity consumers, as well as continuing to prioritize operational optimization and expense management,” Blue Apron CEO Brad Dickerson said in a statement. Blue Apron’s subscriber numbers had been declining since it went public in 2017, but its fourth-quarter earnings report reflected an overall improvement in sales. Other meal kit companies have also been experimenting with new ways of reaching consumers and hedging off competition. Last summer, HelloFresh announced that it would start selling meal kits at Giant Food and Stop & Shop stores. Plated announced in April 2018 that it would begin selling its meal kits at Albertson’s, and Walmart has expanded the in-store availability of its own line of meal kits in an effort to compete with Amazon’s Whole Foods delivery service and other meal kit companies.